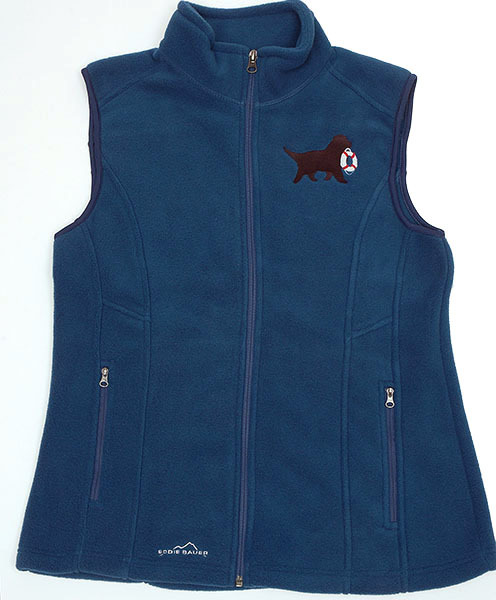 Black Paw Studio embroidered Life Ring Newf graces the front of this super soft and warm fleece vest made by Eddie Bauer. Perfect for those cool Newfie hikes! Available in Deep Sea Blue.